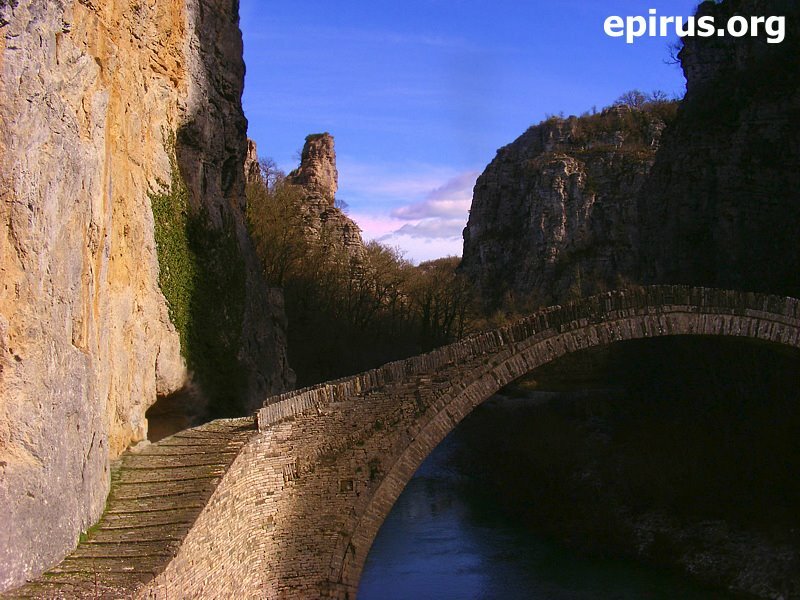 The bridge of Noutsos (or Kokkoris as it is also famous) is located at central Zagori, near the village of Koukouli, at a distannce of 39 km. from Ioannina, at the river of Voidomatis. Noutsos Kontodimos from Vradeto financed the construction of the bridge, which took its name by its benefactor. The sign on a black stone writes on the year of 1750 or 1752 (Lampridis also mentions Moutsos Karamersinis as its constructor in 1768). 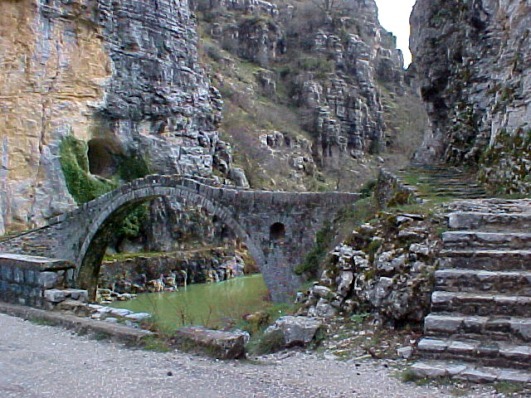 It is also famous as the bridge of Kokkoris (or Kokkoros) because, Kokkoros from Koukouli, who had a mill there, disposed in 1910 his money for its reconstruction. Recently, the bridge has been reconstructed once again by the members of the Assocciation of Zagori. Next to the bridge there is the cave where captain Ntavelis hid with two other footpads. ΑFrom a careless wooden bridge near the bridge of Kokkoris passe the women of Pindos ladened with ammunition and other supplies during the Second World War.